Game description: Sometime after the protagonist arrives into the capital and gains the ability to seal vengeful spirits, the Imperial Palace is consumed by a considerable number of curses. 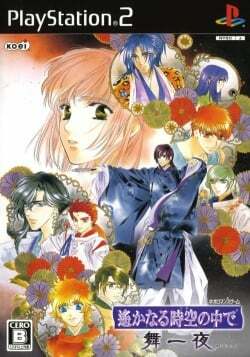 The overwhelming spiritual taint causes several members of the nobility —including Fujihime— to become severely ill. Due to restrictions regarding decorum, the protagonist is sent to stay at the palace alone to remedy the predicament. Her early attempts to purify fail and she is bullied by the nobility for her improper conduct. A mysterious young man visits her during her time of vulnerability and imparts her with the knowledge she needs to overcome the threat. Once she is reunited with her comrades their goal is to save the Imperial Palace, the spiritual heart of the capital, from the Demon Clan.